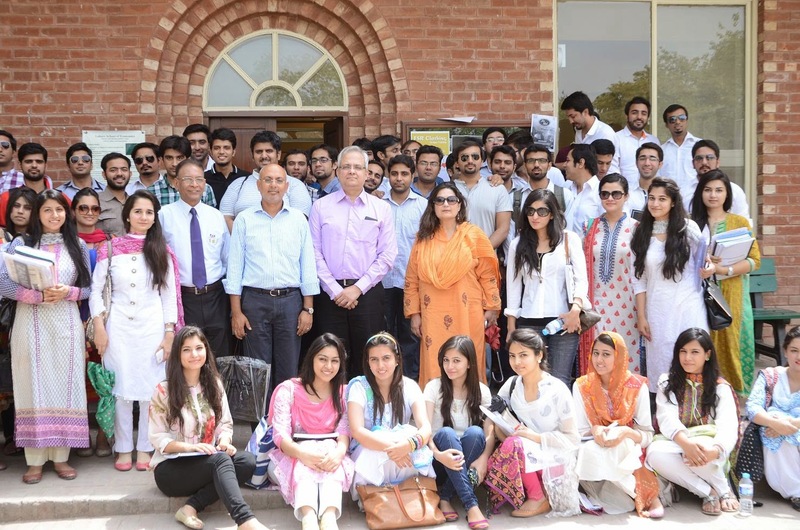 Mr. Arif Ijaz, one of the most senior speakers on the circuit of business management programs, and a regular visitor at the Lahore School, delivered a trade-mark provocative and value-adding lecture on “Brands and Myths” at the Lahore School on 17th of June 2014. Mr. Arif spoke for over an hour on various “myths”, some true others not, associated with brands and at every step of the lecture challenged MBA participants to revise their received wisdom and textbook based knowledge. For example, he argued that there was a myth that a brand is developed by putting money into advertising. Not true, as there was much more than that, he asserted, including good governance inside the company. He also underlined that both B2B and B2C contexts had more in common in terms of branding – the Human to Human (H2H) element. In fact it was time for companies to think out of the box and use CSR as a tool for real and sustainable branding. 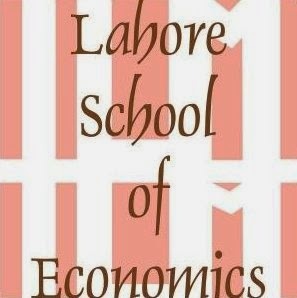 Lahore School of Economics organized a seminar on “Business Policy” for the graduating MBA II class at the Mahmood Chaudhry Library on June 12, 2014. Mr. Salman Wassay, CEO Wireless Life and Mr. Ahmad Hussnain, CEO of Allied Marketing were the two speakers. Mr. Wassay talked about how to survive in the corporate world and make progress. 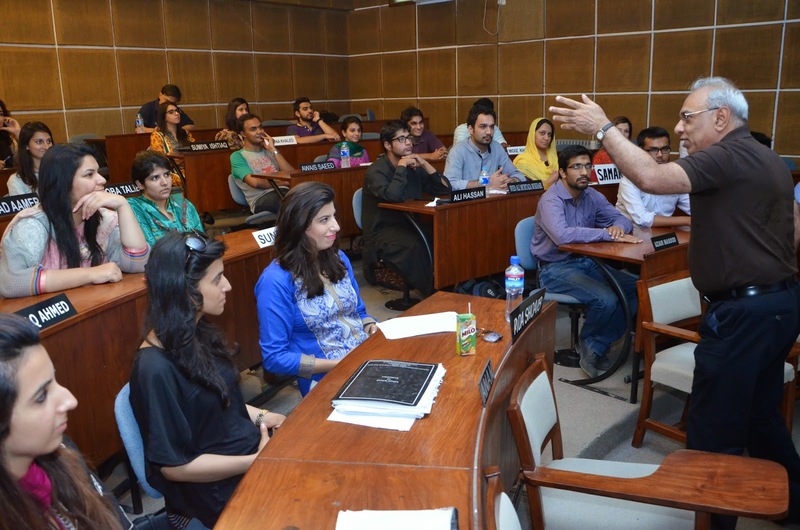 He told the students that it was extremely important to identify and adjust in the corporate culture to be successful. He also talked about the opportunities for the female employees in the corporate world and gave tips as to how women could survive and be productive in a male dominant world. According to his belief, the role and performance of females was much higher than that of men. He told the MBA students that the corporate life was quite different from the student life where it is difficult to get a second chance if you miss first. He advised the students to be visible, indispensable, knowledgeable, and good at taking decisions according to the situation and scenario. 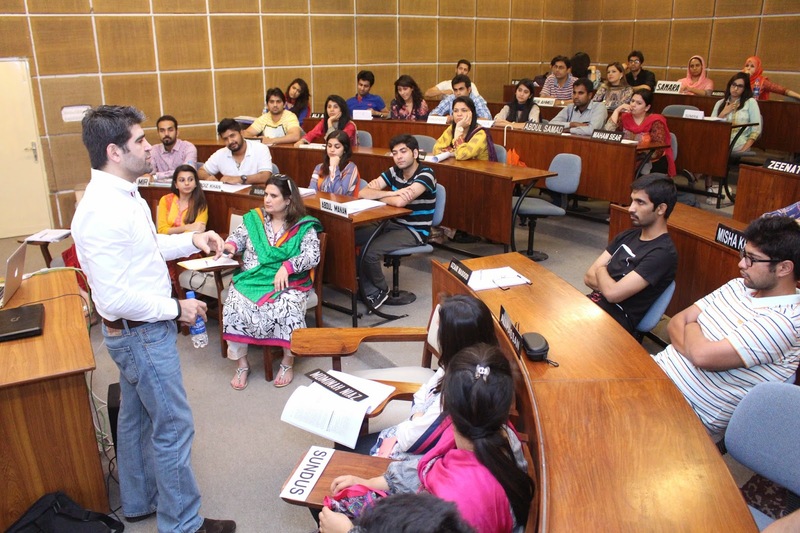 Mr. Shehzad Ahmed, the CEO FarighFour visited the Lahore School of Economics to deliver a lecture on “Brand Management and Advertising” to the graduating MBA class on Wednesday, June 10, 2014. Mr. Ahmed gave a very unique concept of brand. Taking “Pakistan” as a brand, he started off his presentation by showing a video clip that took the audience on a journey through time. He compared two different versions of Pakistan; one being the Happy Pakistan and one being the Sad Pakistan. Different lost legends such as Mehdi Hassan Khan were discussed along with the lost glories and lost joys of Pakistan.